We are successfully meeting the varied requirements of our clients by providing the best quality range of Designer Curtain Rods. 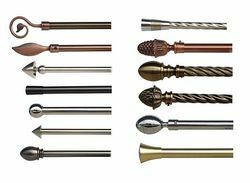 Backed by profound experience of our experts, we are an unparalleled name engaged in providing high quality assortment of Adjustable Curtain Rod. 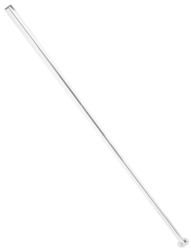 We are a remarkable entity in this domain, engaged in offering a qualitative assortment of Curtain Rod. Woodique 28mm is pre wood finish on 28mm galvanized rust free iron pipe. Available in maximum length of 15 feet is combined with strength of iron with looks of wood sinse they are moth free/ no maintenance curtain rods.